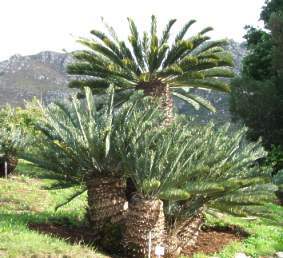 Although Encephalartos friderici-guilielmi experiences harsh growing conditions in its natural habitat, it is very adaptable to different climatic conditions. It is a vigorous grower, easy to cultivate and develops a stout stem. 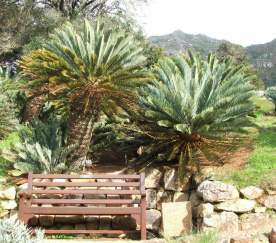 Observed against the clear blue Karoo sky, this is one of the most attractive cycad species. The stem of Encephalartos friderici-guilielmi ranges from 400-600 mm in diameter and can grow to a height of 4 m. At this height, the stem tends to lean and eventually settles flat on the ground with the crown curved upwards. Adult plants may develop up to six stems and sucker freely from the base. The crown of the stem is covered in loose brown hair, particularly when new leaves and cones are produced. The leaves are 1.0-1.5 m long, fairly straight, and tend to spread out horizontally when the cones appear. They are blue-green and darken as they age. 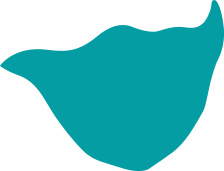 The leaflets are 100-180 mm long, are closely spaced with a sharp point at the tip but have no teeth on the upper or lower margins. Encephalartos friderici-guilielmi bears the largest number of cones in the genus. Male plants produce up to 12 cones and a female plant as many as six. The cones are covered in yellowish hairs which darken to a brown or beige when mature. The male cones are 200-400 x 60-100 mm. 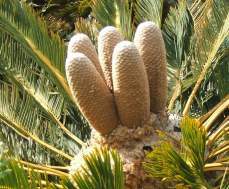 Female cones are barrel-shaped, 250-300 x 150-200 mm, and remain on the plant for more than six months before disintegrating to disperse the seeds. Encephalartos friderici-guilielmi occurs in large numbers on the mountains and rocky slopes in the districts of Queenstown and Cathcart. 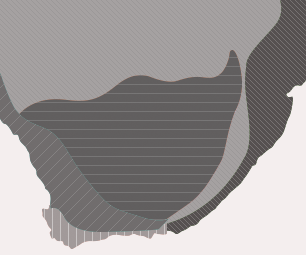 It also extends eastwards towards Kokstad. The species grows in grassland and amongst other low-growing vegetations in temperatures ranging from very high in summer to very low in winter with frost and snow occurring. Rainfall occurs in summer, ranging from 375 to 500 mm a year, so this species will be ideally suited to other similar climates which are relatively dry and experience frost in the winter. Encephalartos friderici-guilielmi was named and described in 1834 by Professor Johann Georg Christian Lehmann of Hamburg in honour of Friedrich Wilhelm, King of Prussia, who was a patron of botany. Lehmann's description of the species was based on herbarium material collected by Ecklon and Zeyher. Confusion surrounded the description of the species for the next 100 years, which arose from the description of a species which was named Zamia cycadifolius in 1801. Lehmann renamed it Encephalartos cycadifolius in 1834. In 1965 Dr R.A. Dyer, a director of the Botanical Research Institute (now SANBI), confirmed that E. friderici-guilielmi is distinct from E. cycadifolius. Although Encephalartos friderici-guilielmi occurs in grassland and is subject to regular fires, there is little evidence of significant damage being done to the mature plants. Their stems and crown are obviously able to withstand severe scorching and only the dead and fresh rachises (leaves) burn. Mature plants are generally found amongst rocks which obviously protected them from fires when young. Young plants not protected by rocky outcrops are vulnerable. 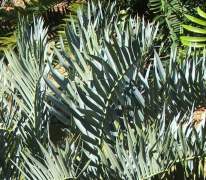 In nature, like all other cycad species, it is pollinated by wind and insect activity. Encephalartos friderici-guilielmi responds well to cultivation and is therefore well-suited as a garden subject in areas with a similar climate to its natural habitat. It is certainly water-wise and is adaptable to other conditions; it does very well at Kirstenbosch Botanic Garden which is a frost-free region and has a high annual rainfall. This species is well-suited as a container plant or grown in a garden as a feature plant in full sun. Encephalartos friderici-guilielmi requires full sun and good drainage to do well in a garden. It will not do well in the shade. This species would be ideal in a rockery surrounded by low-growing succulents. 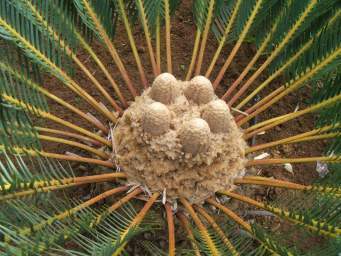 Cycads require regular feeding to maintain a healthy plant. An annual application of well-matured compost in the autumn improves the condition of the soil. In the early spring, apply two handfuls of a mixture of bone meal, organic fertilizer and a balanced inorganic fertilizer to each plant. High pressure irrigation systems damage the leaves and stems of cycads and they need to be avoided; this species does not require a great deal of water. In very dry areas, watering with a sprinkler will be adequate. Propagation of Encephalartos friderici-guilielmi can be done by sowing seed or removing well-matured suckers from the mother plant. To produce true to type seed it is necessary to hand-pollinate the female cone with pollen harvested from a male cone of the same species. The seed is sown in the spring on a bed of clean, coarse sand which has bottom heat of 25-28º C. This species is slow to germinate and can take up to a year before all of the seed has germinated. 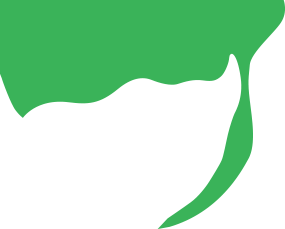 The radicle develops first followed by the leaves and within 10 months the seedlings are removed and potted into a 3-litre plastic sleeve containing a well-drained growing medium. The seedlings are watered sparingly until the first signs of growth appear. Propagation by division involves removing well-developed suckers of approximately 250 mm diameter from the mother plant. Early spring is an ideal time when all leaves are removed from the sucker which is then carefully eased away from the main stem. The sucker needs to be left to dry off the wound before planting in clean sand which encourages root development. Once well-rooted, the sucker can be planted out in the open ground. Pests encountered are scale mealy bugs, caterpillars and snout beetles. Spray with a contact insecticide. Snout beetles destroy cycad seed. Scale and mealy bugs occur on the underside of the leaves. A tiny gall midge can damage new leaves as they appear and they turn black. As new leaves start appearing, the crown of the stem needs to be sprayed with a contact insecticide once every two weeks. Giddy, C. 1978. Cycads of South Africa. Purnell, Cape Town.